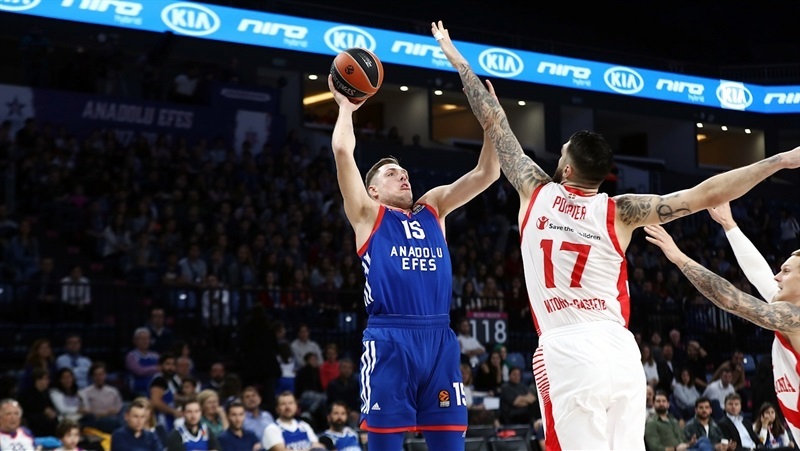 In an outstanding showdown that went down to the last seconds, Baskonia Vitoria Gasteiz rallied from an nine-point deficit in the final 5 minutes to edge host Anadolu Efes Istanbul 81-82 on Friday. Baskonia improved to 6-6 in the Turkish Airlines EuroLeague regular season standings while Efes dropped to 4-8. 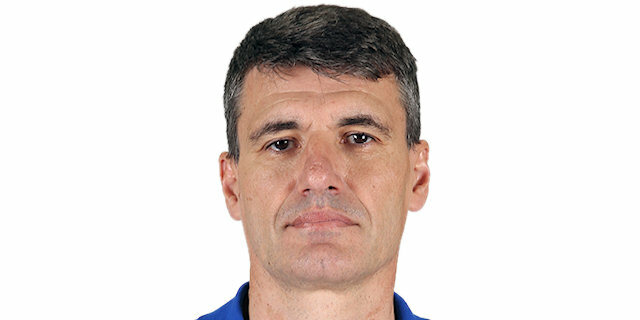 Toko Shengelia led the winners with 17 points. Matt Janning and Vincent Poirier each added 16 while Jayson Granger dished 10 assists for Baskonia. Poirier added 12 rebounds and 5 blocks. 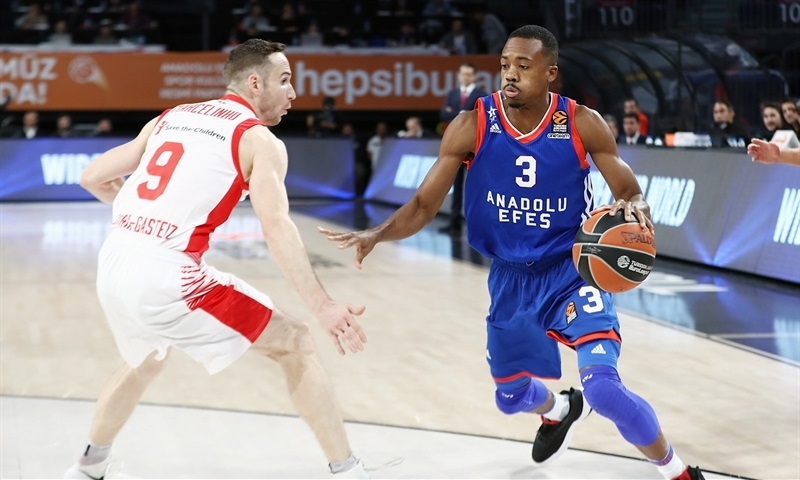 Errick McCollum led Efes with 21 points. 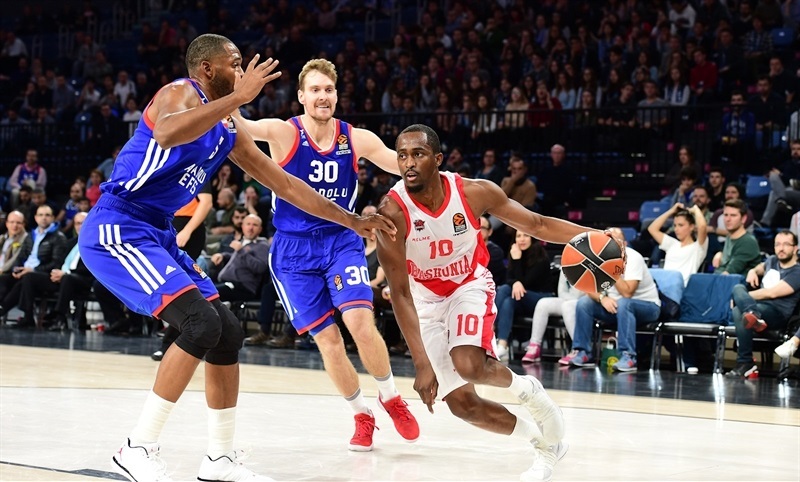 Bryant Dunston added 14, Zoran Dragic, Vladimir Stimac and Ricky Ledo each had 10 while Krunoslav Simon got 8 assists for Efes. 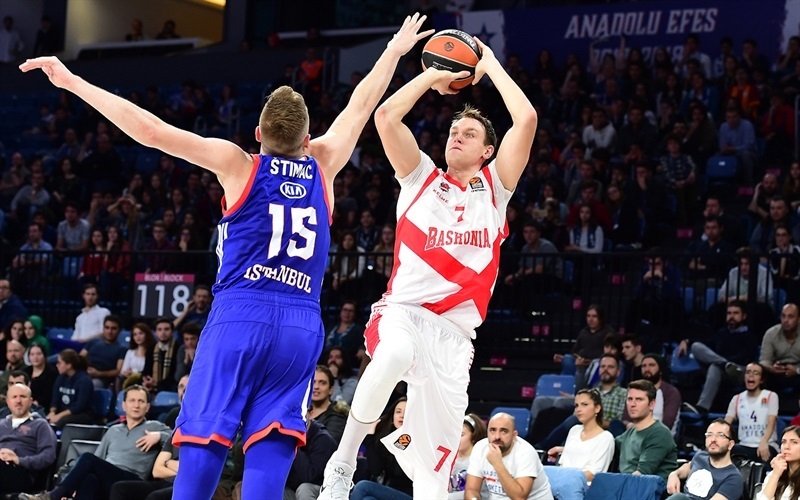 Stimac added 17 rebounds, a EuroLeague season high. Poirier had an early dunk, a jumper and an alleyoop layup, getting help from Janning to lead Baskonia to a 7-16 lead. Efes found a go-to guy in Ledo but Shengelia and Kevin Jones kept the guests in charge, 19-24, after 10 minutes. 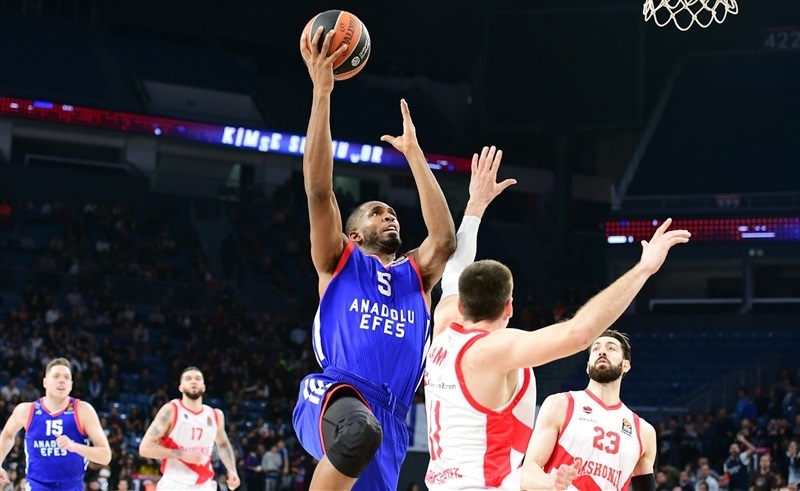 Simon led a 7-0 run that gave Efes its first lead, 28-27. Shengelia and Poirier kept pacing Baskonia to a 42-45 edge at halftime. Janning hit back-to-back triples in a 0-10 run that gave the visitors their only double-digit lead, 47-57. An unstoppable McCollum answered with 11 points in an 19-4 run that put Efes ahead, 68-65, after 30 minutes. A dunk by Dunston gave Efes a 76-67 margin but Poirier, Janning and Shengelia brought Baskonia within 81-80. Poirier rounded out his great game by hitting the game-winning free throws with 3.1 seconds left. It took Janis Timma six seconds to get Baskonia going with a three-pointer. 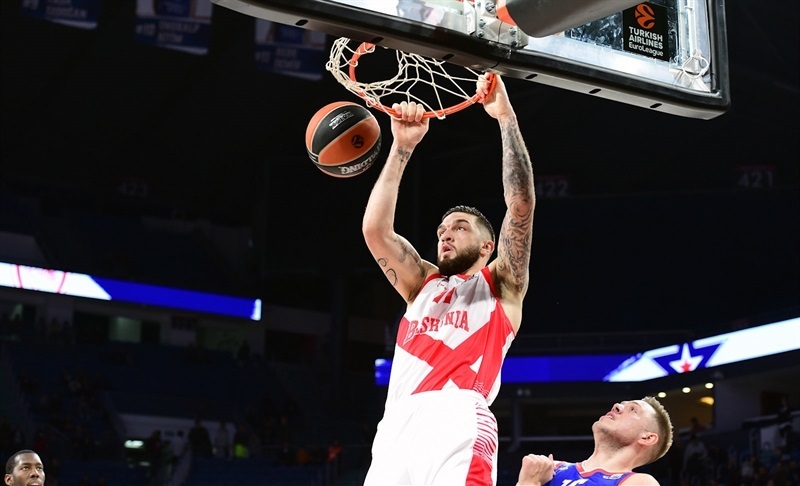 Poirier followed a dunk with a jumper and Janning sank a jumper but Dragic and Stimac kept Efes within 7-9. Shengelia and Poirier fueled a 0-7 Baskonia run that Janning capped with a slam. Ledo stepped up for Efes, joining forces with Josh Adams and Derrick Brown to bring the hosts within 17-20. Jones rescued Baskonia with a jumper and a layup but a jump hook by Stimac got Efes closer, 19-24, after 10 minutes. Rodrigue Beaubois bettered McCollum's jumper with a triple early in the quarter. 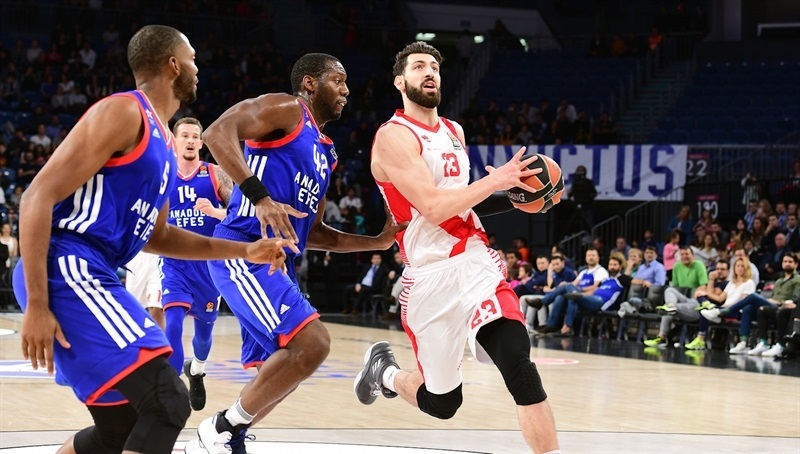 Simon had 5 points and an assist in a 7-0 run that gave Efes its first lead, 28-27. Johannes Voigtmann and Jones stepped up for Baskonia and a coast-to-coast layup by Beaubois restored a 31-36 lead. 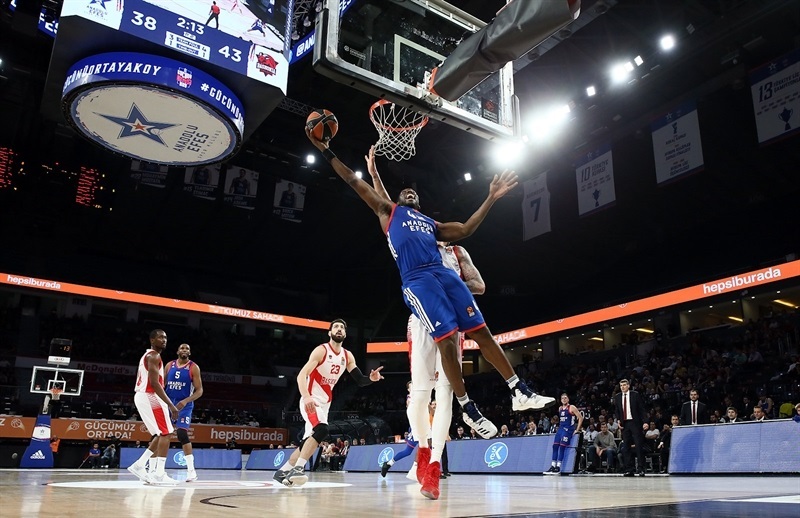 Shengelia took over with a huge dunk and Poirier added an alley-oop slam but Adams and an unstoppable Dunston – with 8 points in 4 minutes – kept Efes within 42-45 at halftime. A corner triple by Ledo and a fast break layup by Brown tied the game, 47-47, soon after the break. 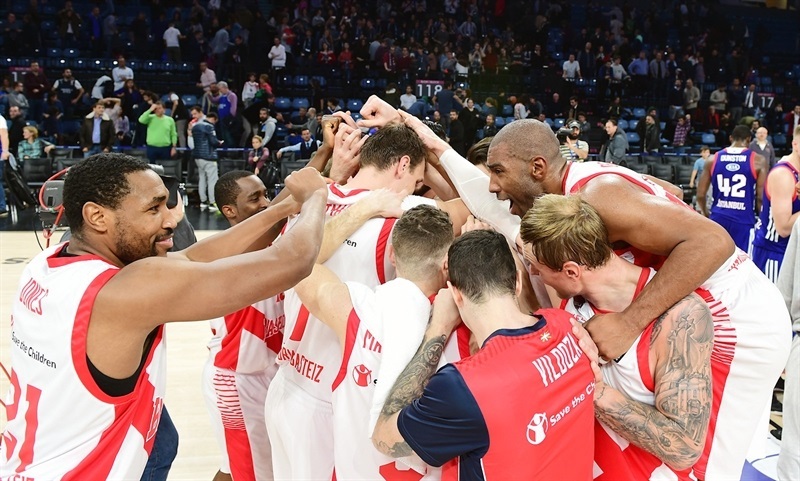 It didn't last long, however, as Janning nailed back-to-back three-pointers in a 0-10 run that Granger capped with a layup, good for a 47-57 Baskonia lead. Ledo and Simon tried to change things for Efes, then McCollum and Stimac fueled a 10-0 surge to put the hosts ahead, 61-60. Jones struck from downtown but McCollum followed a jumper with a triple and a layup by Dunston made it a five-point Efes lead that Beaubois cut to 68-65 after 30 minutes. Stimac and McCollum led a 6-0 Efes run early in the fourth quarter and a dunk by Dunston ignited the crowd at 76-67. Baskonia did not panic, however, as Poirier had 6 points and Janning added a three-pointer in a 2-11 run that made it a one-point game, 79-78, with 2 minutes left. McCollum hit a jumper, Shengelia made free throws and Baskonia got the ball back with 20.7 seconds remaining. Poirier drew a foul and both attempts to win it for Baskonia, as Simon picked up a turnover in Efes's final possession. 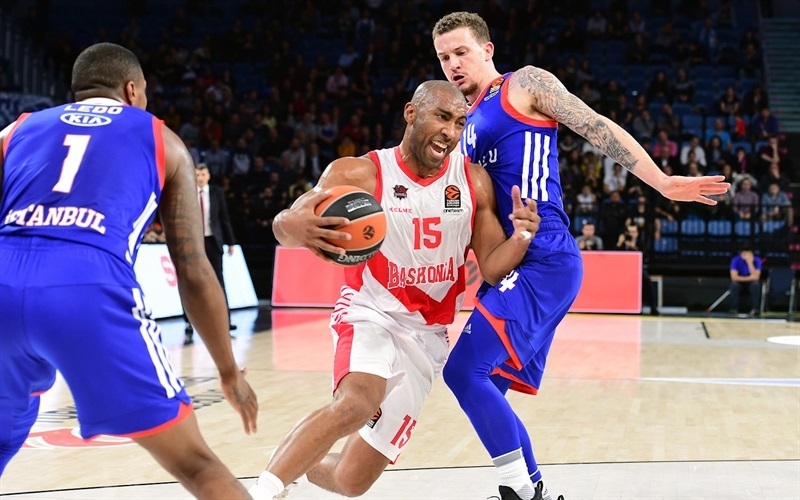 Both teams return to EuroLeague action on Wednesday as Efes visits Khimki Moscow Region and Baskonia also plays on the road against AX Armani Exchange Olimpia Milan. "It is a very tough loss for us. This is the third game at home in which we were close to winning, but we lose. This may be worse, because we had an eight-point lead with 3 minutes to go and couldn't keep this advantage. I think we had a bad start, but after the third quarter, when we played much better, we had good rhythm until the last 3 minutes, when we stopped playing with speed on offense. I think we didn't score in the last 3 minutes and that was the key." "This is basketball. 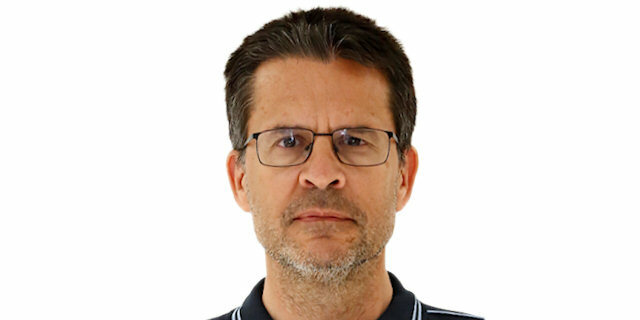 I have to congratulate my players because they believed in the victory. We had a very bad moment at the end of the third quarter and the beginning of the last quarter, but we believed and played better defense in the final six minutes. In the end, it was a tight game and we had good concentration. 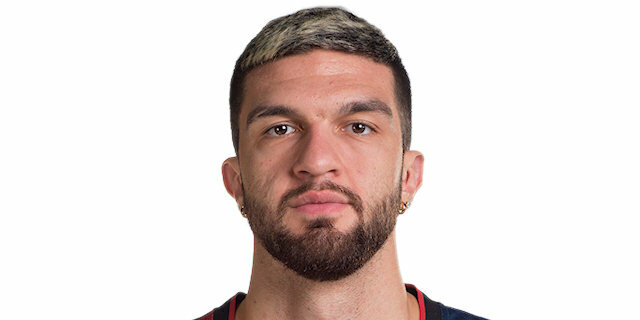 Vincent (Poirier) was incredible with the [game-winning] free throws and the offensive rebounds. When we pass the ball, we are a better team, and I think that under pressure, when we are 8 or 10 points down, we decided to pass the ball better than before and won an important game." "We knew it was going to be a tough game and we had to be ready in the paint. We had a big opponent in front of us, so we had to control the rebounds and run the way we did today. We had bad moments in the game but kept our heads up. We came back each time to win the game. We made some big mistakes on defense but came back due to our mentality."